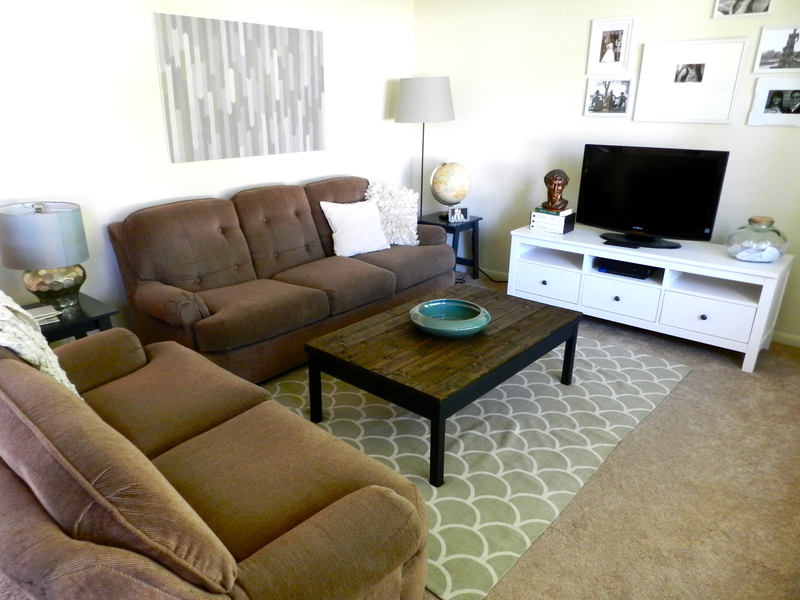 Our living room has been craving a coffee table like mad. What we needed was something wooden and sturdy to add a natural feature to the feel of the space. 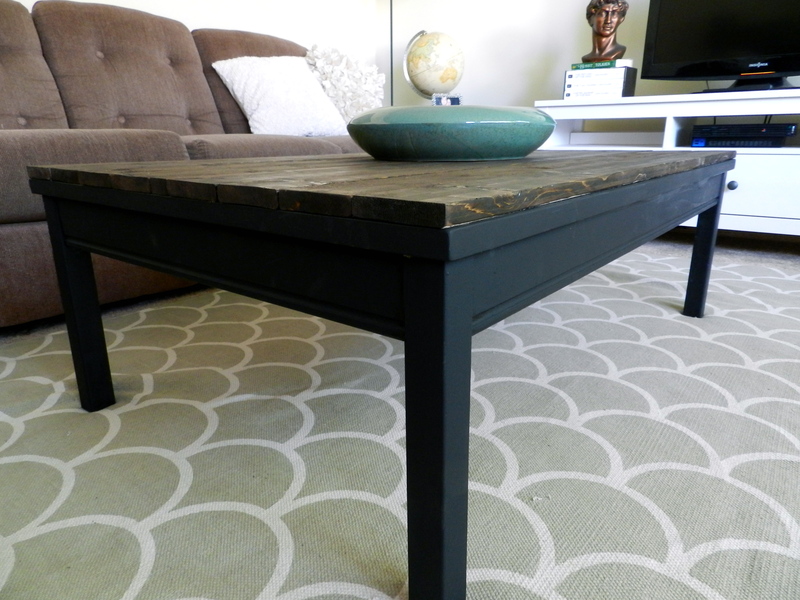 Think Pottery Barn’s Camden Reclaimed Wood Coffee Table. Getting one of those would be a step in the right direction – if you can afford a $700 step, that is. 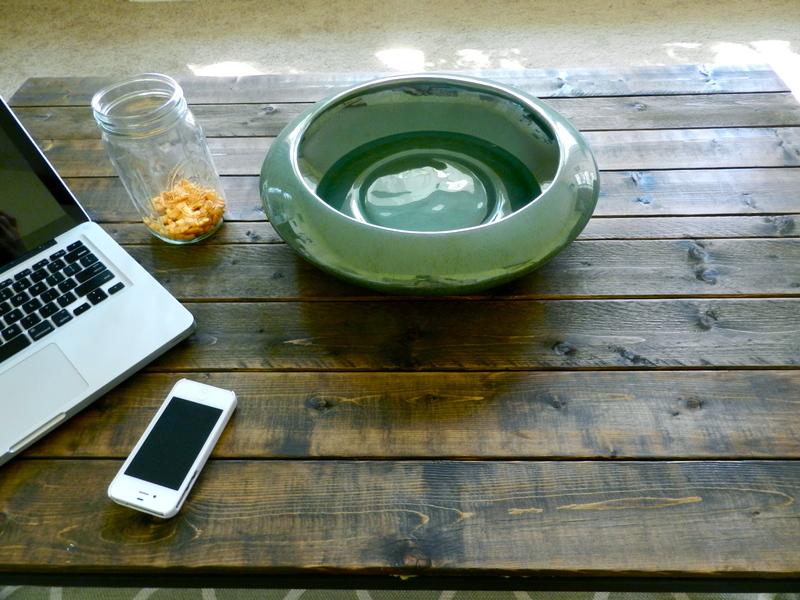 To no success, I scoured thrift and antique stores for something with a rustic or farmhouse-y look. And then! My mind stumbled upon an old IKEA dining table I used in college, currently in storage up at my parent’s house. It’s the Jokkmokk table, to be exact. Yikes. It was a bit beat up and certainly pretty useless as a coffee table in its current condition. 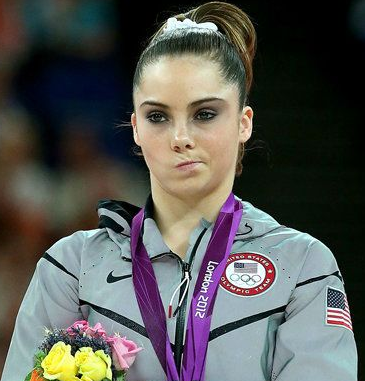 It’s before status induces an unimpressed MaKayla Maroney moment. So, we transformed him into this! 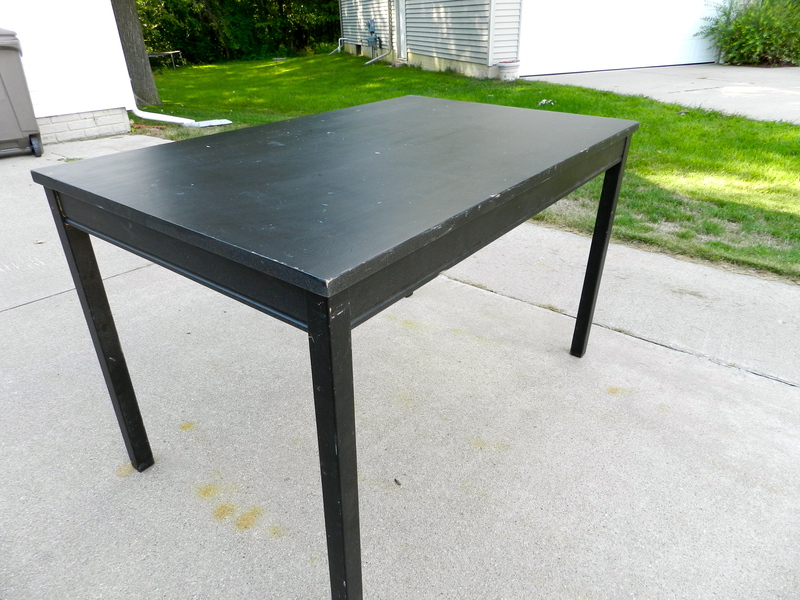 First, we chopped the legs off to about a 15 inch height and gave the table a fresh coat of black paint. 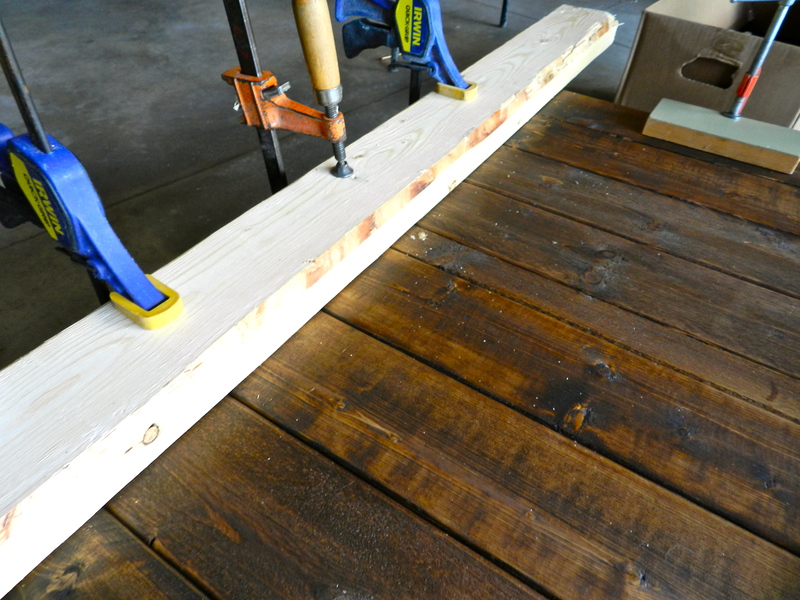 These steps are optional if you’ve already got a coffee table-sized frame to work with. 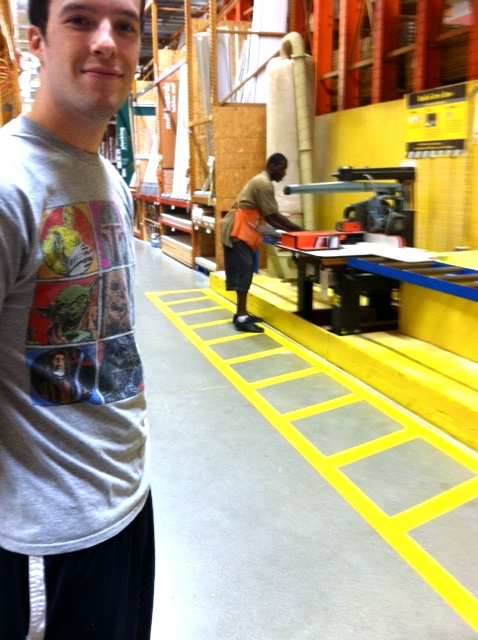 Up at Home Depot we picked up eight 1 x 1 x 4’s and had the friendliest associate ever known to man slice them up for us. Seriously, if you’re the manager of that Home Depot and reading this blog (unlikely) give this good man a raise. 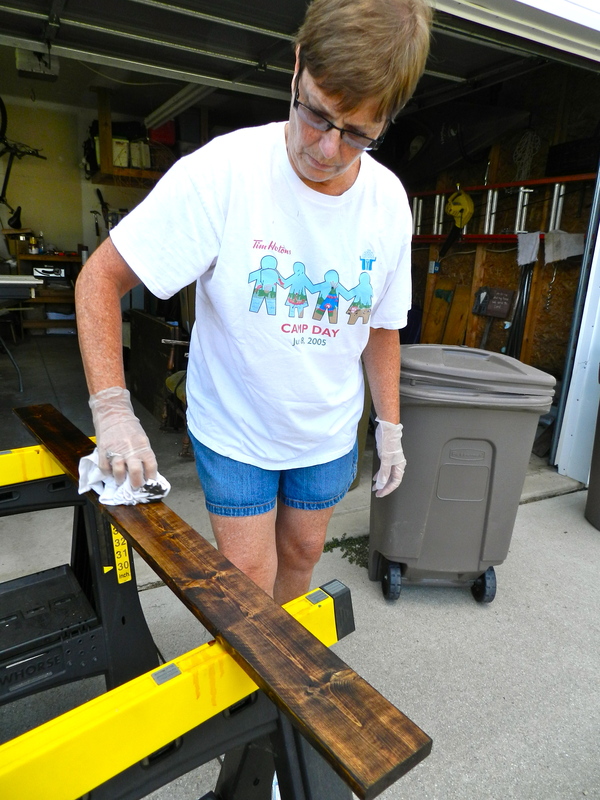 With the help of Mom Schultz, we got to work sanding and staining. 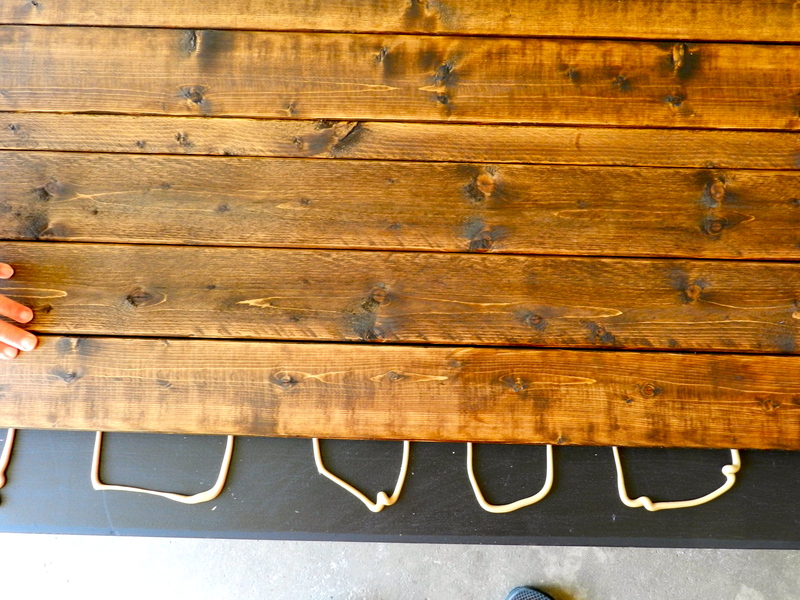 This was my first time ever staining wood and it is extraordinarily easy. Since this project, I’m always digging around our house for more things to stain. We applied two coats and allowed to dry over night. The next day, all we needed was a quick sand down of the surface, some construction adhesive ($4 at Lowe’s), and clamps. 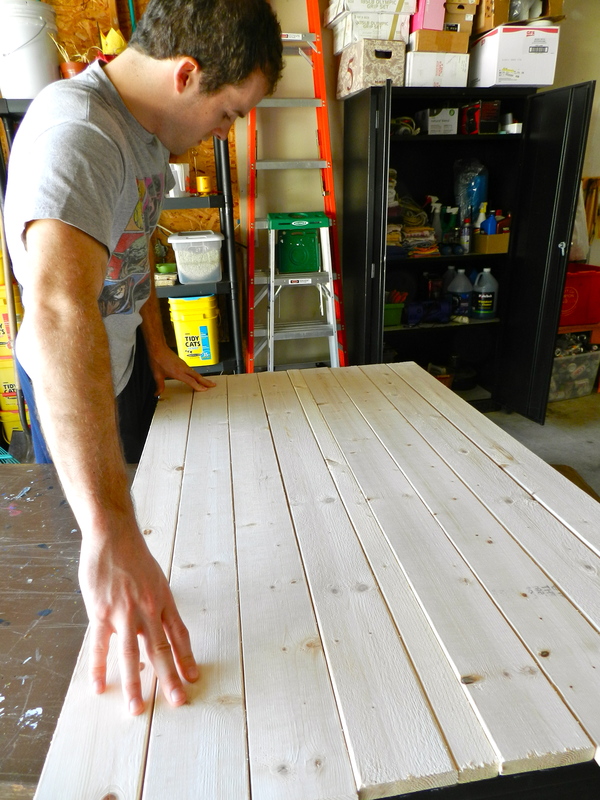 We allowed the glue to clamp for about 24 hours before giving him two coats of polyurethane. Now he’s all moved into his new home! We love it! Here’s a quick before and after. Our humble little living room has come a long way. 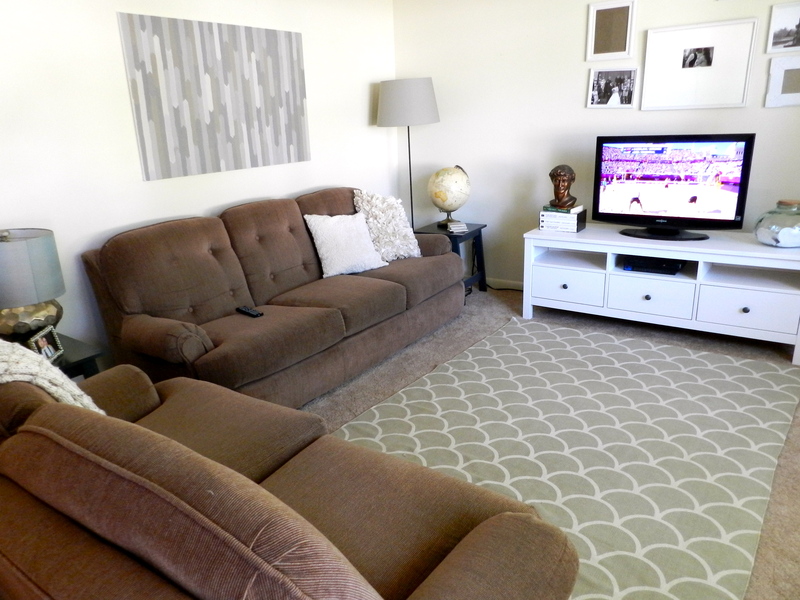 To see all the other stuff that’s gone down, check out our new decorative swag, side table swapping, IKEA floor lamps, DIY chevron art, and how I scored a $10 rug from Urban Outfitters. Bea-u-ti-ful use of that table. I like the little board in the middle. Wow – that is beautiful and more. 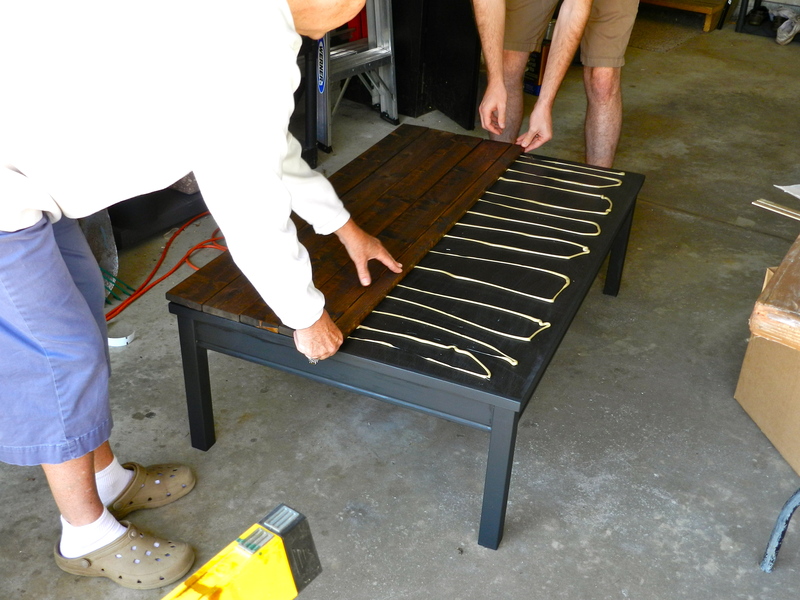 We are in the process right now of making this table. We were at Lowe’s at 9:30 AM yesterday morning. We alrady painted our table and have one coat of stain on the top part. Thank you so much for the idea!! I’ll post a picture when it’s completed! That’s so great! You MUST send me pictures! I hope you love yours as much as we love ours! I love your ceativity. It turned out beautiful. Thank you, Gail! We love it too. What kind of paint did you use? 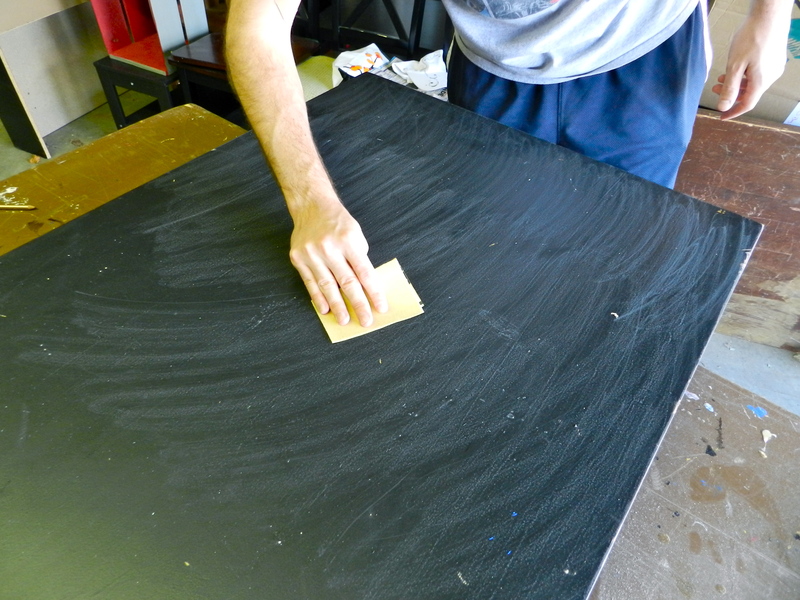 I’m curious because without a ton of sanding, I’m not sure any paint would stick to my Jokkmokk table! Thanks! What color of stain did you use? I love that dark color! LOVE this idea! It totally changes my perspective when shopping at a resale shop for our new coffee table (that we have been needing forever). As long as the legs and the bones of it are good, I can create any top I want! Thanks for the idea!! Most likely I’ll be making one myself and posting it on MY blog. This is a great DIY project, what stain did you use? I really love this table and am going to do it on a table I just got for free. What type of wood did you use and what color was the stain? It looks great! I plan on using ASCP white for the legs. I wanted to see A. How much did the wood end up costing you and B. What kind/color/brand of stain did you use?? I am totally doing this tomorrow for my coffee table that has broken glass!! This is awesome! 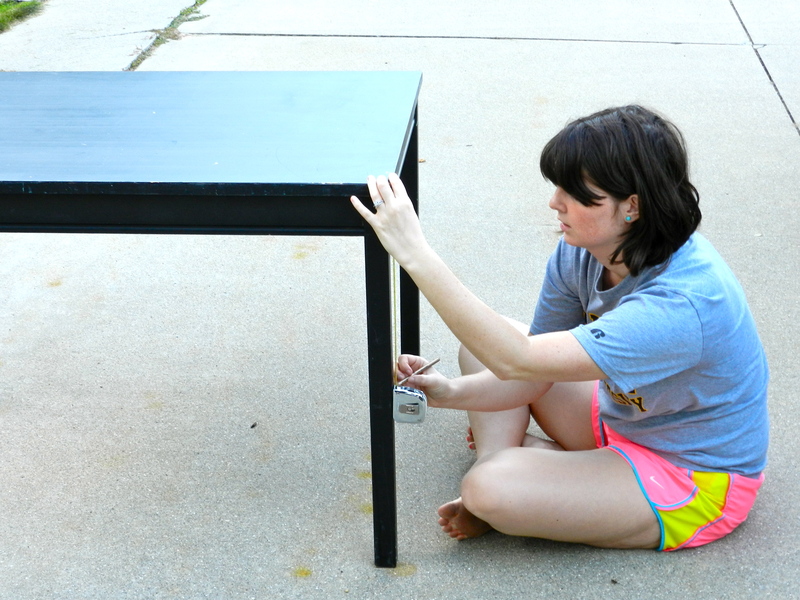 I have the same table and have been thinking about chopping some height off the legs too for a coffee table transform. I love this! But I was wondering, where did you get that TV stand from? I’ve been looking for something like that forever!! 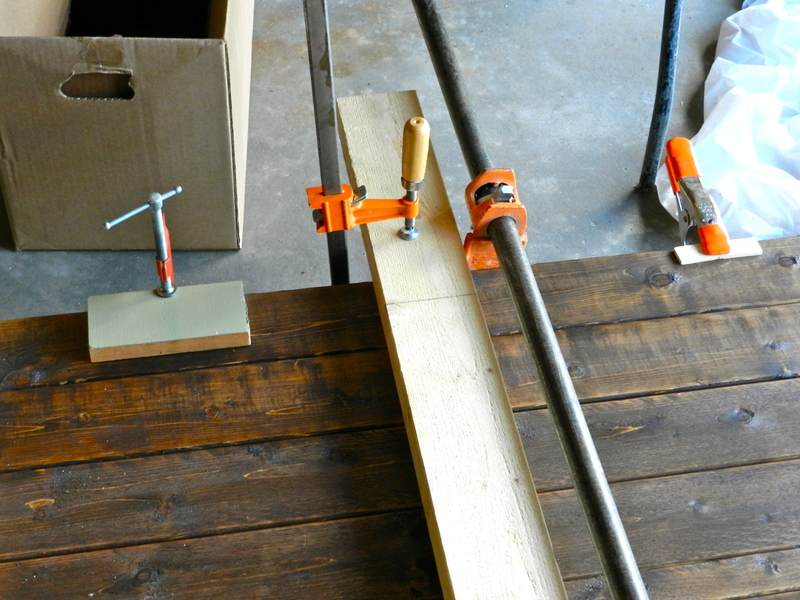 Where do you get clamps from? Are they expensive? Beautiful!!! What brand/color stain did u use? I love this hack! 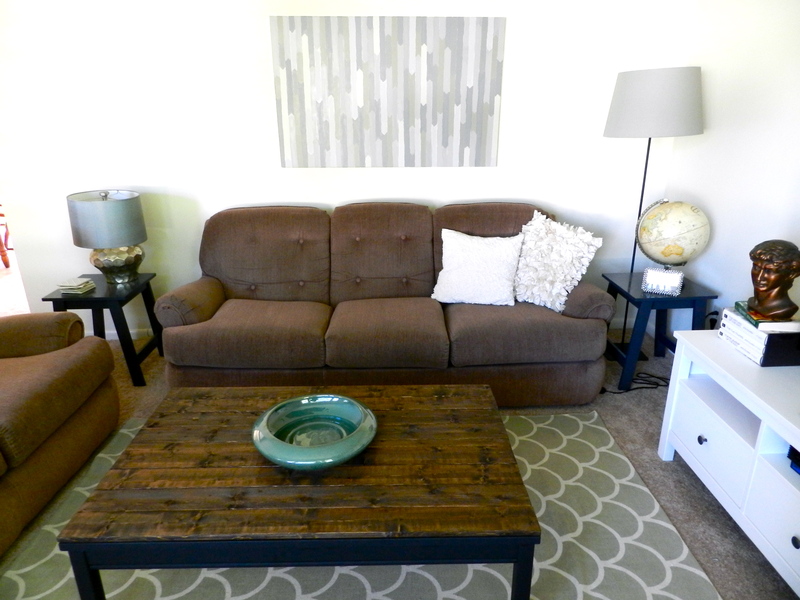 I can never find a rustic coffee table anywhere thats nice and doesnt cost an arm and a leg. Going to drag the husband to Home Depot next weekend for this! Lol Also, what stain did you use on the wood? Sorry, what color and kind of stain? Holy crap! This is great – going to be using this idea to re-do the top of my dresser (scratched up from kids). I’m new to all this dye thing and definitely want to try this, you did such a good job, somehow I don’t have all this tools, like what you use to put pressure when the glue was drying, do I need those? Or can I just put something heavy on too?